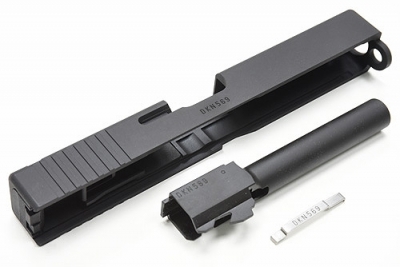 Home > Guarder > Guarder 7075 Aluminum CNC Slide for MARUI G22 (Black) 2017 New Version. 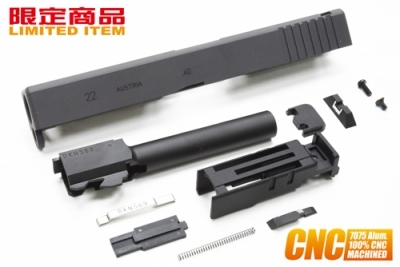 Guarder 7075 Aluminum CNC Slide for MARUI G22 (Black) 2017 New Version. 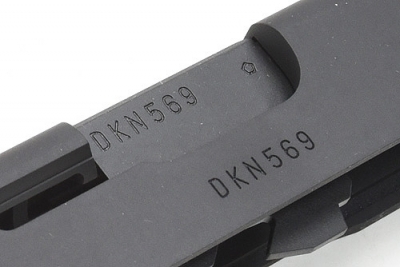 Includes: CNC Aluminum slide, Outer barrel, rear sight, Blowback housing and safety cover.